I might have mentioned before on here that Etsy is one of my favourite places to shop for, well, pretty much anything. 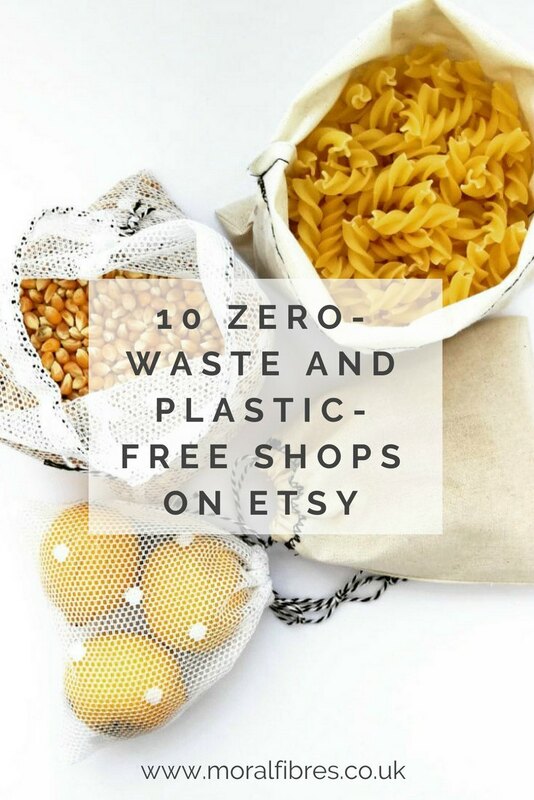 It used to be my go-to place for anything decorative homewares related, but recently Etsy has really upped its game, with a whole host of zero-waste and plastic-free shops popping up too, listing a beautiul array of eco-friendly products. 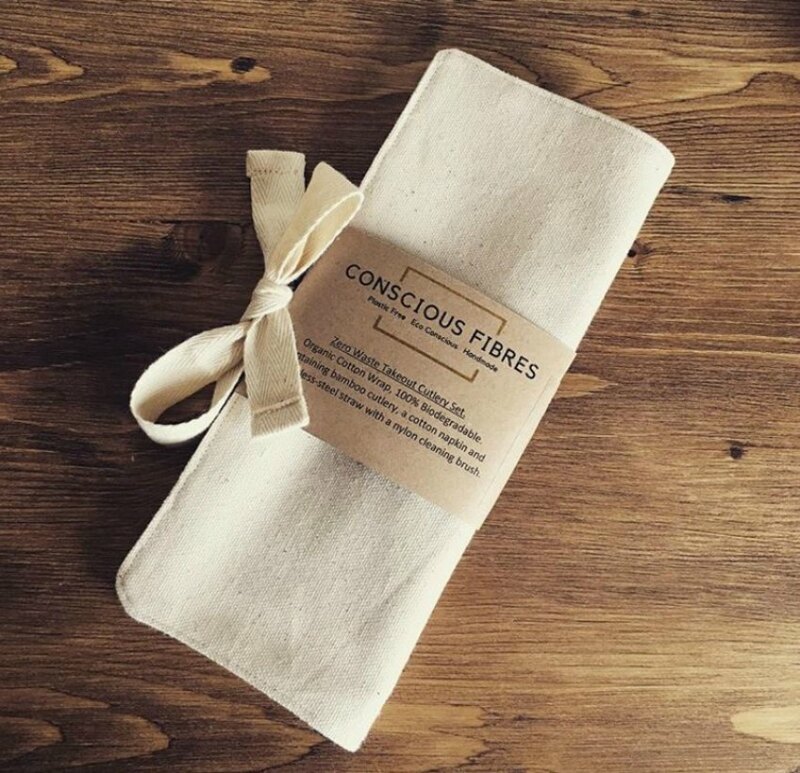 Conscious Fibres sell a whole host of plastic-free and reusable goods – from produce bags, multi-purpose cloths, make-up wipes, tote bags, handkerchiefs and handy zero-waste takeout kits, all of which are handmade in the UK. 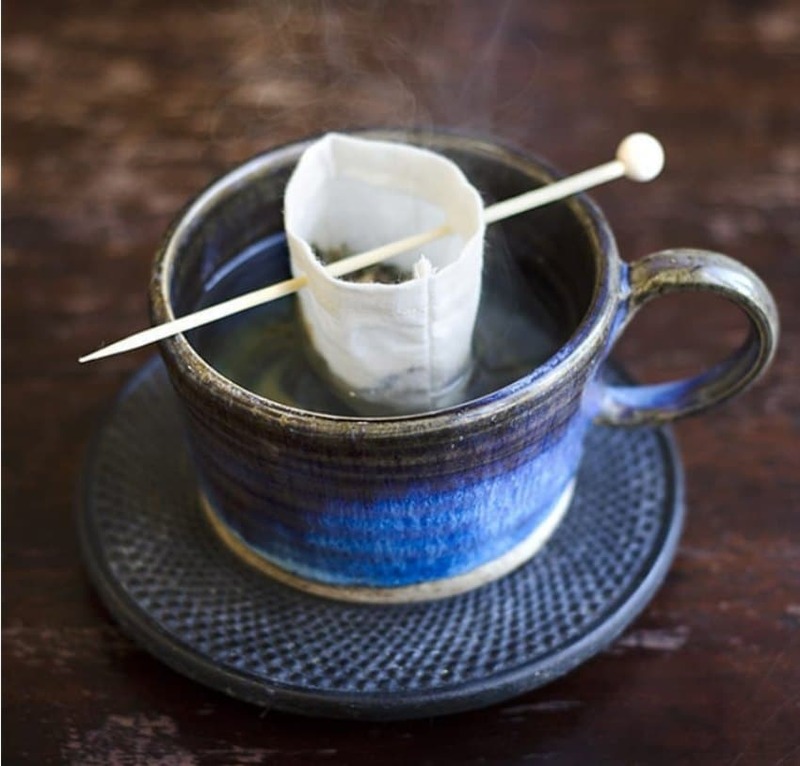 And once your Conscious Fibres product has reached the end of its lifespan, relax in the knowledge that all of their products are completely compostable, or can be recycled. 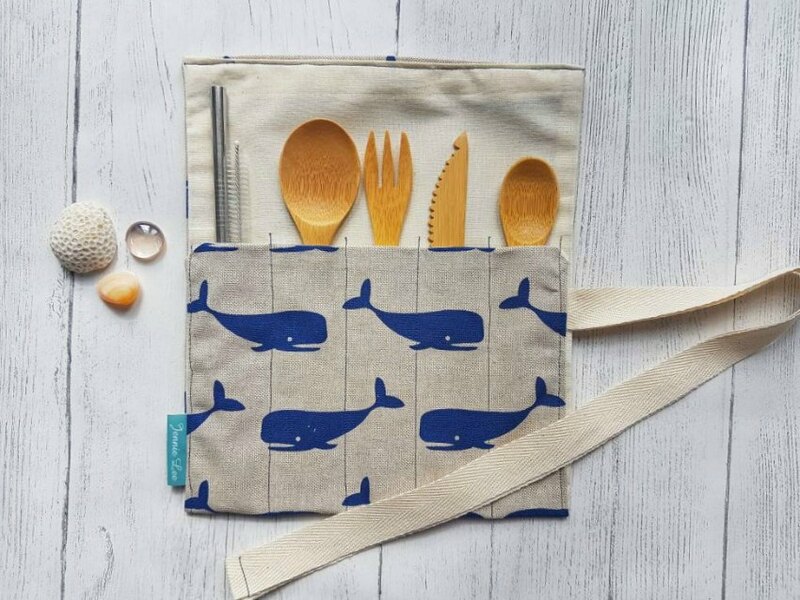 Creations by Jennie Lee specialise in stylish zero-waste cutlery pouches, perfect for popping in your bag for lunches and picnics – helping you to avoid the need to use single-use cutlery. There are heaps of different designs sure to appeal to every family member – making them perfect for little ones lunch boxes too. 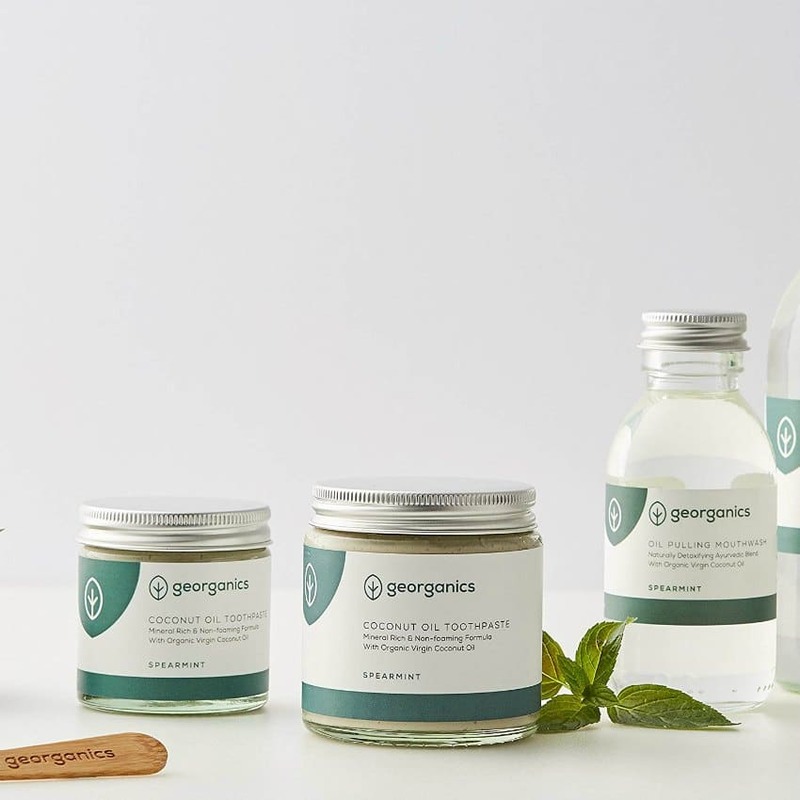 Georganics sell a range of natural plastic-free oral care – from toothpaste and mouthwash sold in glass jars, to refillable glass jars of natural dental floss, and bamboo toothbrushes. There’s pretty much everything you need here for a zero-waste dental routine and a healthy smile. Lilah Pads sell beautiful handmade washable sanitary towels. I recently purchased a couple for myself, and I am genuinely surprised at how much more comfortable these are than regular sanitary towels (SO much more comfortable), and how absorbent they are. I bought two, to begin with, to ease me into the world of reusable sanitary towels, and to see how I got on with them, but I will definitely be purchasing some more soon. 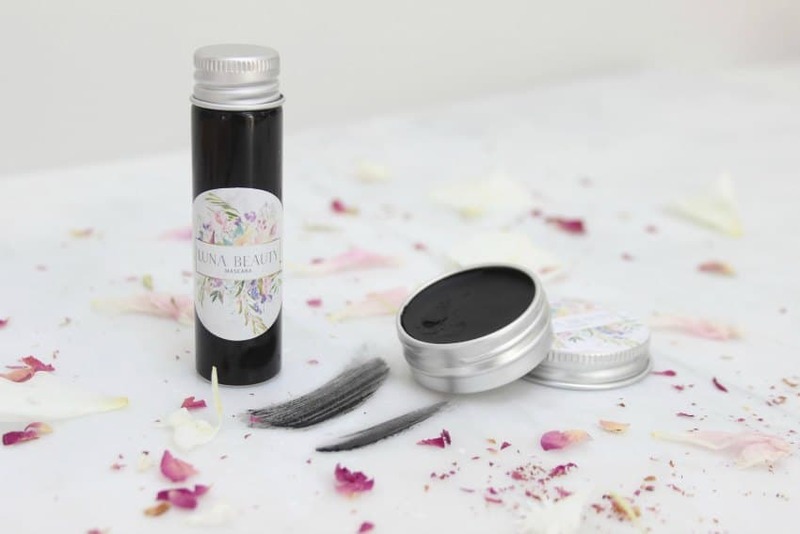 Luna Beauty sells zero-waste, plastic-free, cruelty-free and vegan cosmetics that I’ve blogged about here before. From eyeliner and mascara to blusher and bronzer, everything is plastic-free. 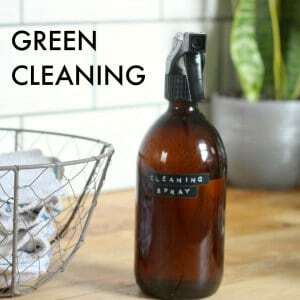 For extra green points, you can even send your empty tins and bottles back for refill, which earns you a 15% discount on your refill order. 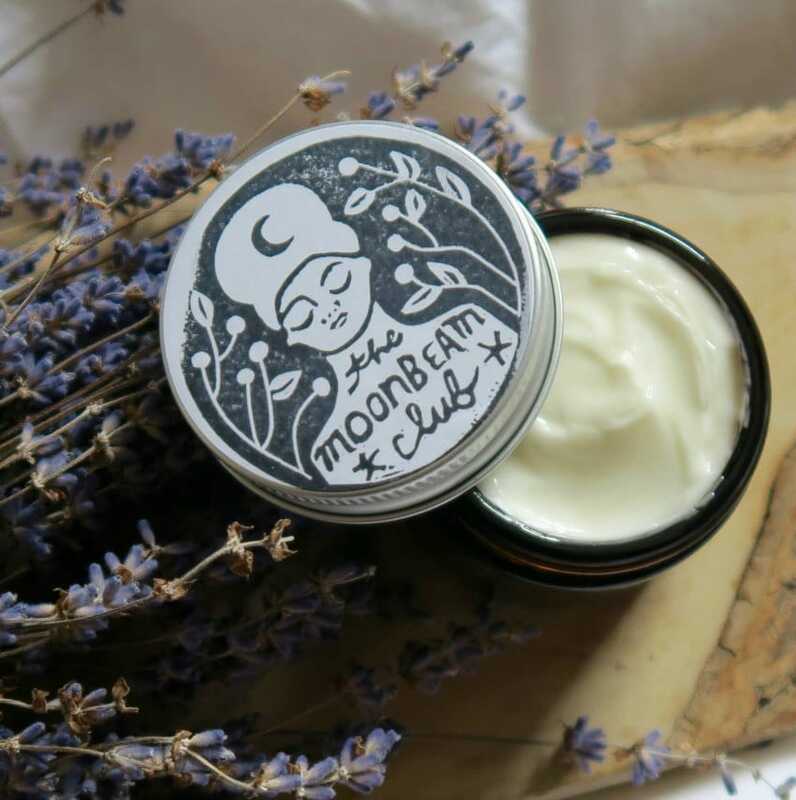 Moonbeam Club sells the all-purpose Moonbeam Cream at a purse-friendly £8 – a natural moisturiser suitable for both your face and body without the need for separate products. Each batch is handmade using natural ingredients and packaged in glass jars with aluminum lids (no plastic here), although please note the cream contains beeswax so is not suitable for vegans. Rowen Stillwater only sells vegan zero-waste products, from vegan wax wraps for food, to reusable teabags, plastic-free sponges, and more. 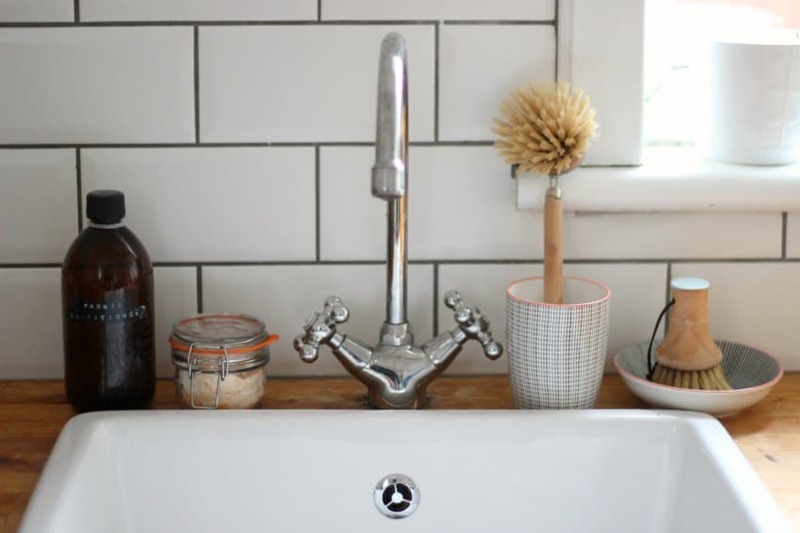 Every items ships plastic-free too, so you can be sure that plastic doesn’t sneakily find it’s way into your home. 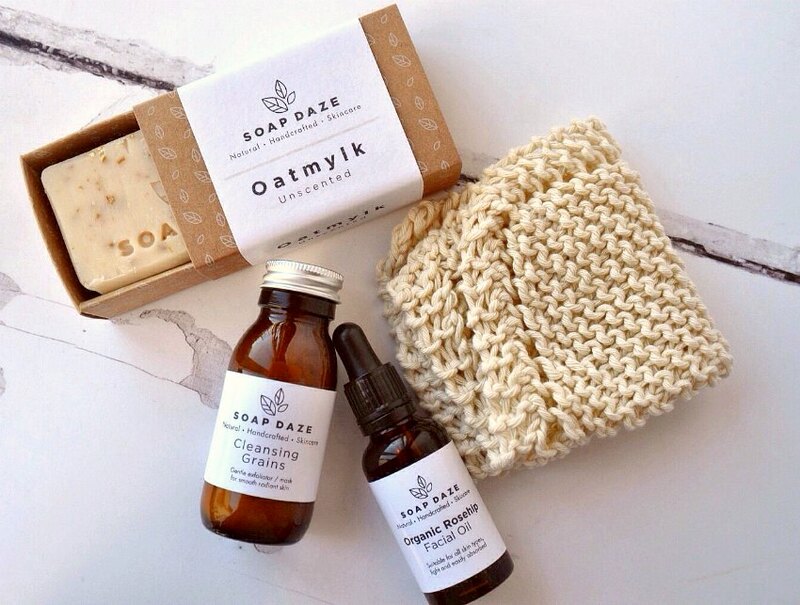 Soapdaze sells a lovely range of handmade natural skincare products that are vegan and plastic-free. 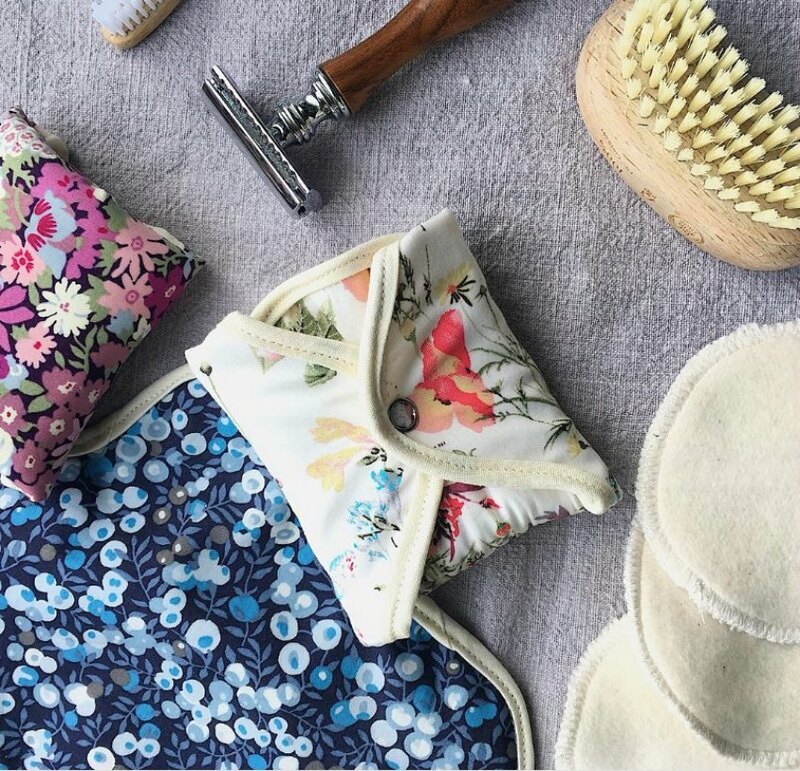 From beautifully scented soaps that can be purchased with or without packaging to reusable makeup removal pads, to handknitted facecloths, to lovely oils and cleansing grains, I love everything in this beautiful little shop. 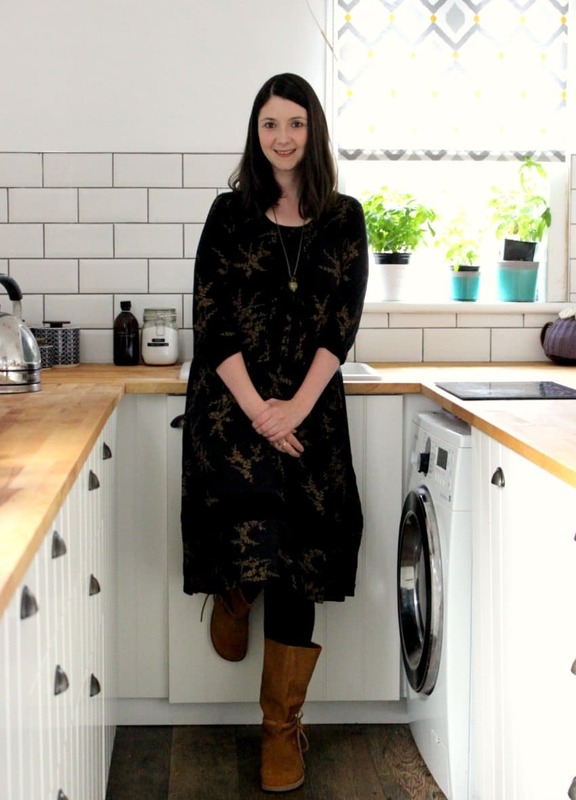 Tabitha Eva sells everything you could need for a zero-waste home. 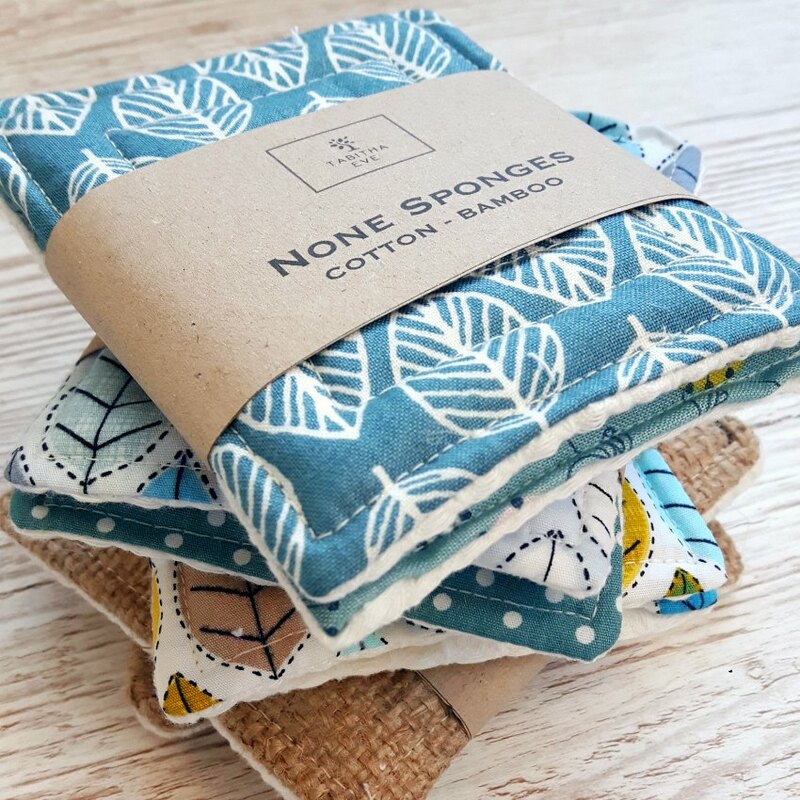 From reusable nail varnish remover pads, to plastic-free sponges, food wraps, reusable kitchen roll, produce bags and more, if you are looking for something plastic-free Tabitha Eve probably stocks it! 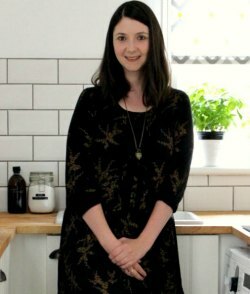 Finally, Oktavia, aka The Zero-Waste Maker, collects waste fabrics and fabric scraps from her day job as a costume designer and then turns these scraps into useful items that can help in your journey towards plastic-free living, and keeping her job as costume designer as zero-waste as possible. Every item in the Zero Waste Maker shop is therefore unique, and in each listing Oktavia tells you where the piece of fabric used came from. 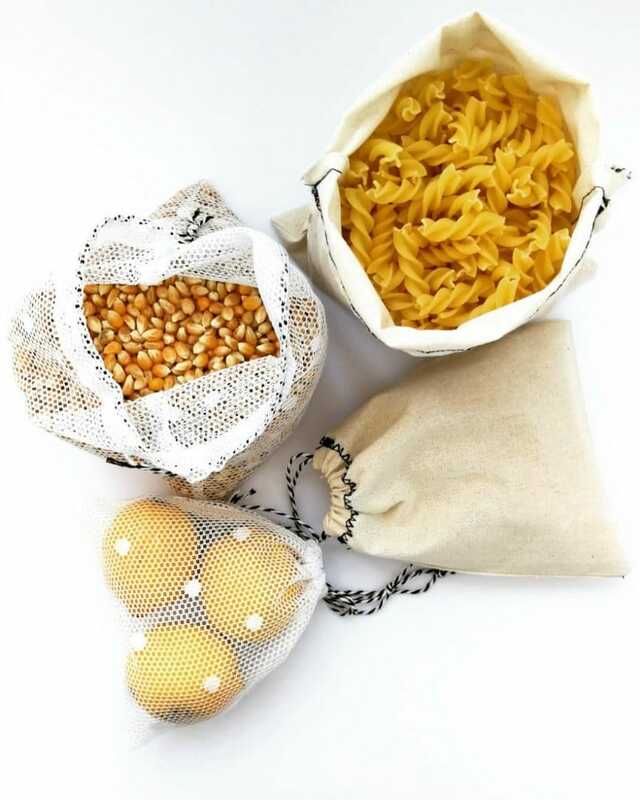 Look out for beautiful produce bags, makeup removal pads, sponges, cloths and more. 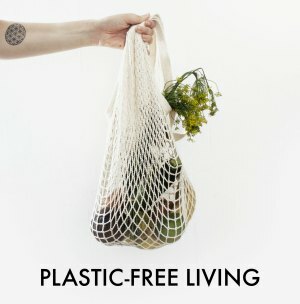 Do you have any favourite plastic-free shops on Etsy? 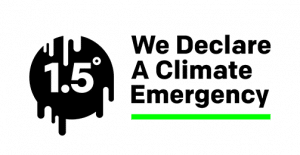 Or elsewhere?